*”Mothers” includes step-mothers, foster mothers, grandmothers, aunts, a close family friend, a friend’s mother or any supportive adult woman in the girl’s life. 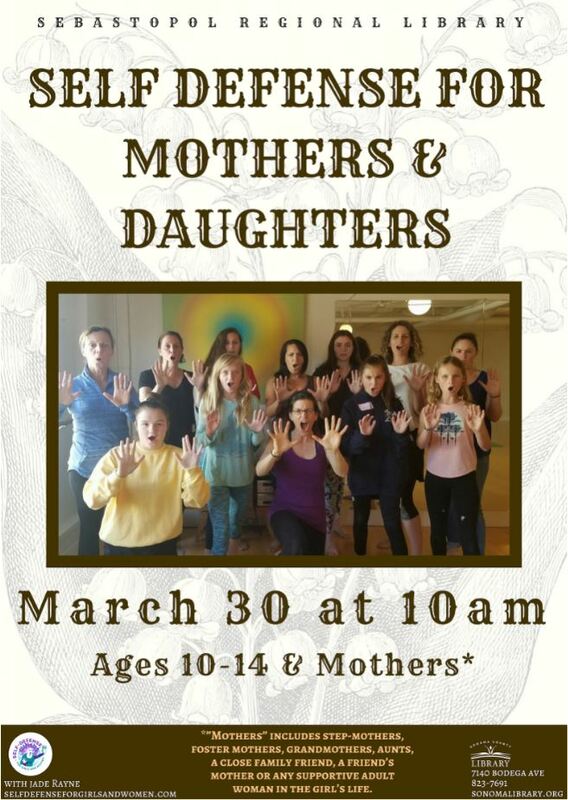 In this class, you will learn that as women and girls, as mothers and daughters, we can be alert, aware, strong, safe, and capable of defending ourselves! And, despite the heavy topics, this class is fun! Students have fun and feel empowered as they learn powerful and effective physical, verbal and psychological techniques that have been used by girls and woman successfully in real-life situations. The class includes success stories, assertiveness training, information and discussion on related topics such as dating/domestic violence, sexual harassment, sexual abuse, sexual assault, and if we ever are harassed or assaulted, the importance of seeking emotional support and help. Parents, please feel reassured that these topics are addressed at an age-appropriate level for the younger students. Our daughters are stronger and more capable than most of us realize! Students of ALL ages report feeling more confident and capable of defending themselves after taking this class. *Lesbian, bisexual and transgender (M2F) women are welcome in my classes.